For weeks I have been craving Peppered Steak. After three trips, at least, to the chinese restaurant I figured I had to find a way to make this at home. The hubby loves Peppered beef and Mongolian beef. He talked me into trying some and I just fell in love. See, I grew up on Chinese and Italian foods. I’ve tried the beef but the pork dishes were always my favorite. I used to not like bell peppers. Funny how our palates change over time. Now, I could eat bell peppers by the dozens! 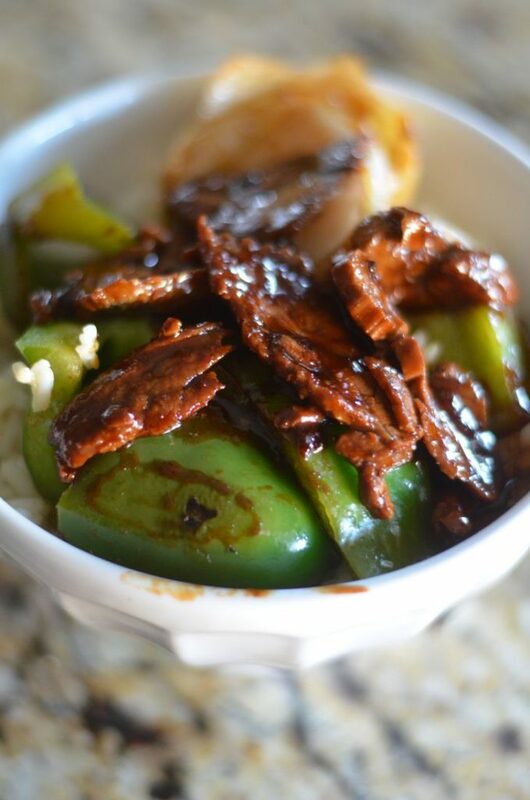 The sweet flavor when the peppers are lightly sautéed is the one of my favorite tastes to match the sauce on the beef. I love how it pairs so well. On another note, we are trying to eat a little healthier lately. My son’s friend, that I consider my adoptive son, is gluten free. We are looking into new recipes we can make when he is over to eat that are not just baked potatoes over and over. However, I do admit he likes his potatoes and so do I. We thought this one would be a good one for him as we can use gluten free soy sauce in the place of regular when he is over. It pairs perfectly with rice which is healthier for all of us all. He tried the Peppered Steak and liked it. We are having some issues with the taste of the gluten free soy sauce. I was recently told of another option which we hope to try it soon. For now though we will eat it with regular soy sauce. I think the hardest part of this dish is keeping the meat still a bit frozen. Cut it against the grain into very slim pieces in thickness. It should be pretty thin so it cooks fast and doesn’t become tough. You may velvet the meat but that’s not something I do. Slicing thin isn’t too hard if your meat is still half way frozen. It definitely takes a bit of elbow grease! 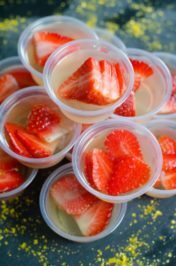 Hope you enjoy this recipe as much as I do! 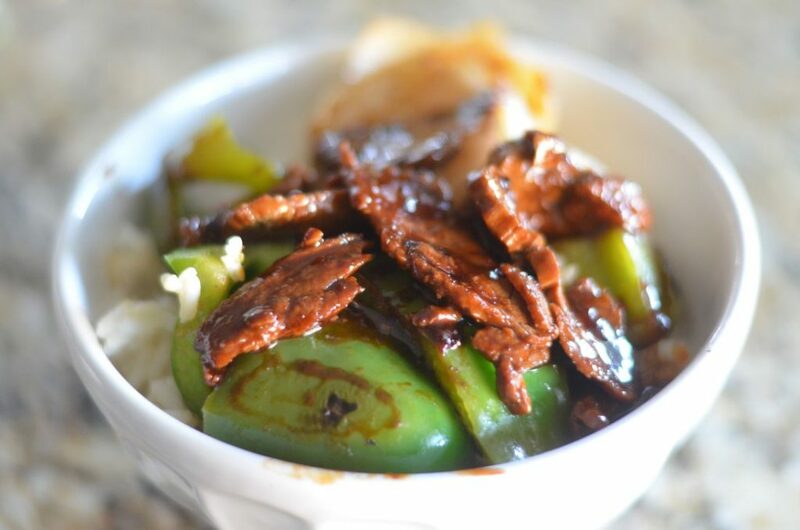 Made with flank steak, green bell peppers, white onion, and topped over white rice. Take flank steak that is half frozen and slice into thin strips against the grain. For the longer pieces cut them into half. Place in bowl and set aside. Slice bell peppers into ½ inch pieces. Place peppers in bowl separate from the beef. Cut onions into four quarters. Peel onions into petals and place into the bowl with peppers. 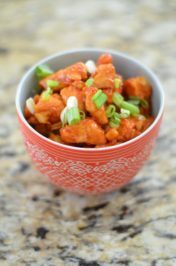 In a small bowl, add in soy sauce, hoisin sauce, brown sugar, cornstarch, garlic, chili sauce, ginger, and pepper. Whisk together. In a hot saute pan or wok, add in one tablespoon olive oil. Place in half the peppers and onions. Saute until lightly browned on the outside and the peppers become a bit tender. Cook the vegetables in groups and place in a large bowl. Add one tablespoon of oil and then add a third of the meat. Saute just until cooked, about two minutes then place aside. Cook all meat in portions until just cooked. Be careful not to over cook the meat or it becomes tough. Turn the pan down to low. Add in sauce and beef. Cook for about two minutes. Remove and toss with peppers and onions. Serve over cooked white rice. To make gluten free you may replace with gluten free soy sauce. Hoisin sauce can also be bought gluten free but Kikkoman is gluten free and that is what I used. This is good over rice or quinoa. 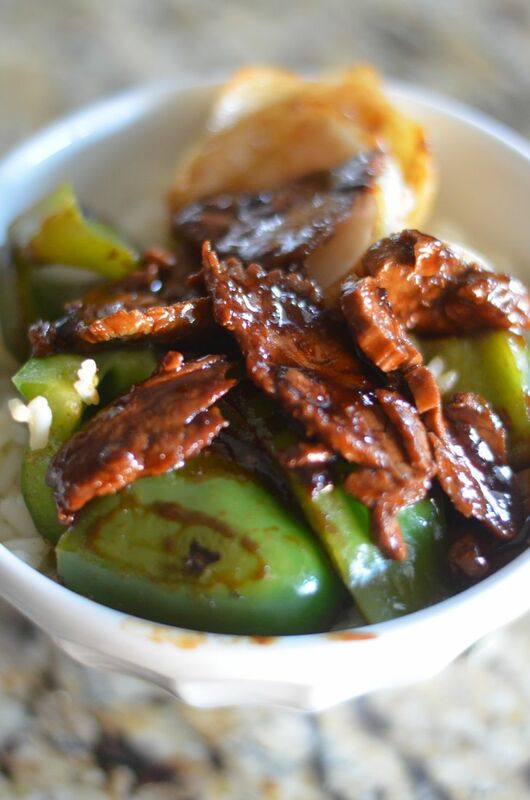 I adore pepper steak and Mongolian beef. 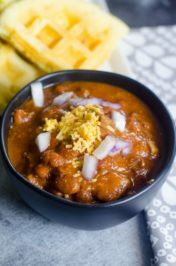 This recipe looks wonderful! This looks so good! My husband would love this. I cannot wait to try this. It looks so good and simple! It’s really just so simple of a meal! Try it. What kind of steak? Looks amazing, Jenne! You are making me hungry! Just checking to make sure that “cracker pepper ” is a typo and you mean “cracked pepper” . 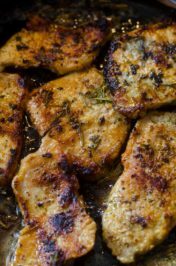 I loved this recipe! My first time making peppered steak and it came out great and flavorful.